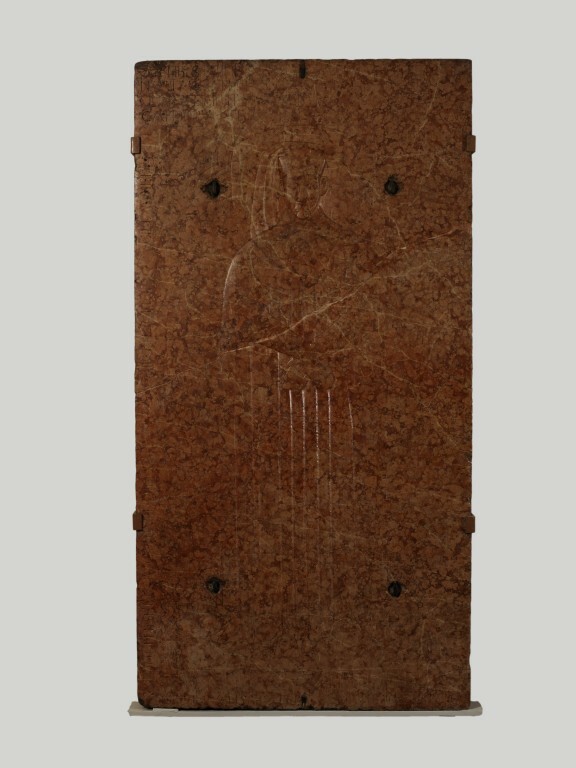 This slab shows the effigy of the deceased, Cando di Cando (d. 1447), dressed as a University teacher, together with inscriptions around the edge in Latin. On the right side, base and left it reads: here lies ... Cando de Cando of Padua, Doctor of Medicine and teacher, who died in the year of our Lord 1447, on Sunday 29 July at 10 o'clock. The tomb of Cando di Cando is recorded in the church of Santa Giustina at Monselice (near Padua) by 17th century sources, which also give details of the missing parts of the inscription. The slab would originally have been set into the floor of the church and over the centuries became worn by footsteps. Cando spent most of his career in the University of Padua, where he taught medicine and astrology. 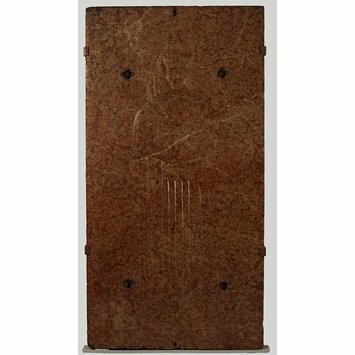 The tomb slab presumably dates from shortly after Cando's death and may have been carved by Paduan stone-masons rather than in a particular sculptor's workshop. 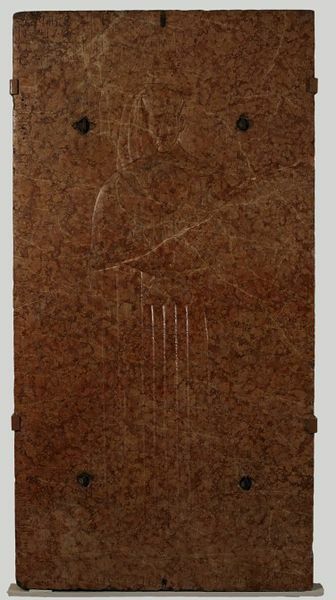 The figure is represented in very low relief, wearing a gown and cap, with the head resting on a pillow. Lightly incised above and beside the effigy is an arch supported by twisted columns. Over the head and round the sides and bottom of the slab are inscriptions. Given by Mr. J H Fitzhenry. The tomb of Cando di Cando is recorded in the church of Santa Giustina at Monselice (near Padua) by 17th century sources, which also give details of the missing parts of the inscription. The slab would originally have been set into the floor of the church and over the centuries became worn by footsteps.